SERIES is a drawing project by Erin D. Garcia exploring repetition and variation using sets of rules illustrated by simple shapes and color. Erin D. Garcia is an artist living and working in Los Angeles. His work explores where human capacity for abstraction intersects or conflicts with the sensory desire for specificity. Each drawing and painting are part of a distillation process, with the distinct feeling that when viewed as a series, are ever closer to a revelatory moment. Unfolding systems are exceedingly present and each piece is inextricable from the practice of their generation. 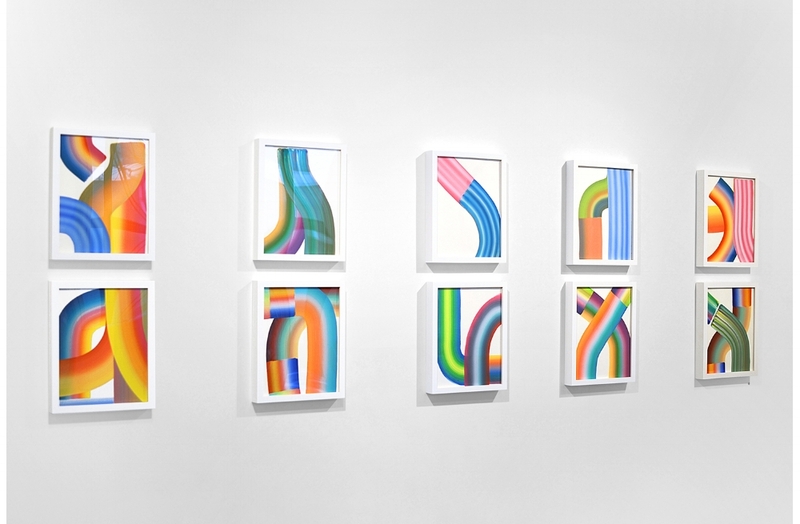 Garcia has exhibited in Los Angeles, Miami, London, Tokyo, and Hong Kong alongside commissioned murals and installations for Ace Hotels, The Standard Hotels, Pandora, Red Bull Studios, and Moog.